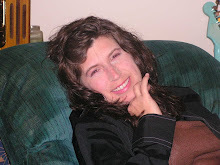 Joann H. Buchanan is author of I Am Wolf Book 1 of Children of Nox and Best selling novella Soulless Light. Holly: Hello, Joann! Can you tell us a little bit about yourself? First I’m the mom of 5 beautiful children. Two are grown up and that leaves my daughters Sarah and Carolyne and my son Trystan. I also have an awesome fiancé named John. He is the single person who pushes me to keep going when I feel like giving up. This business can be hard, but it is so worth it. My radio show is called The Eclectic Artist Cave and can be found on The Shark Radio Network and ZTalk Radio. It airs M-F at 11 AM EST. The show itself centers around the art of writing. I play music and have guests on that talk about their work and the art of writing. Every other Tuesday I have Jack Remick on and he talks about different writing techniques and styles. His teachings have made me grow as a writer. On Wednesday I do Writer Wed. I give a theme and people can send in a piece of flash fiction to be read on the air. The responses I get from this one are amazing. The talent blows my mind and I’m generally moved by the fact that I get to call these people friends. I’m part owner of a PR company called For You PR. It’s a lot of fun and my partner Audrey Hamilton and I have tons of work to do on a daily basis. Holly: Do you remember how and when you first began writing? Joann H. Buchanan: When I was a kid, my parents would ground me, the only thing I was able to do was read or write. I would run out of books to read so I would write. I’m sure my parents did expect me to form a love of writing. I remember a few times I would upset them just so they would send me to my room so I could write without interruption. I was a closet writer from that time on. Holly: Your first published work was, Soulless Light—can you tell us a little bit about this? Joann H. Buchanan: A young love destroyed, an entire village murdered. The year, 1363-the plagued ravaged the land in every corner of Great Britain accept one lonely isle called The Isle of Ely. The bishop, sure the village had consorted with the devil sent his Templar Knights to investigate. Their hearts thirsted for blood. They killed every living person in the village. Julia's soul, so angered by the actions of the knights, is given a power in death she did not posses in life. She must decide if revenge is worth the price she will pay. Holly: Can you tell us a little bit about your novel, I Am Wolf? 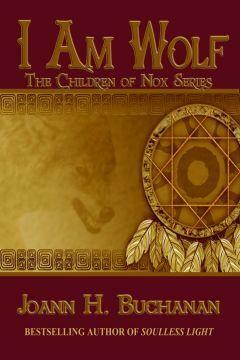 Joann H. Buchanan: I Am Wolf is book 1 in a series called Children of Nox. Angel, hero, monster, devil--we all become what we really are. I Am Wolf --The journey of a boy about to become a man who inherits his ancestor's gift and must learn the right way to use it. He falls in love with Alaynee and begins to feel like he is normal again. When their world is shattered by the kidnapping of Alaynee's little brother, Jonah breaks the cardinal rule of his gift and bites the kidnapper, creating a creature called the unnatural. This sends him and all his friends on an adventure across the states to a place in Tennessee. There they find not only must they stop the unnatural creature, but they must save Cara--the girl the creature is after. Jonah must ask himself the most important question of all, would you sacrifice yourself to save another? Holly: Which came first the plot or the characters? Joann H. Buchanan: Neither, It was a single line I posted on FB. I am part of Tibolt’s clan, a creature of the night. I wash myself in the shining sun and dance with joy in the glittering moonlight. I am loyal to a fault and sing in the midnight hours. I AM WOLF. From there, the story grew into what it is today. I just instantly got lost in the world I created. I didn’t even know if I had anything until I was finished. I have 3 other books that are finished that will never see the light of day. So when I read through it, I was like wow, ok maybe this is one others would like. Holly: Can we expect any more works for you this year; are you perhaps working on anything at the moment? Joann H. Buchanan: Yes, Book 2 in the Children of Nox series is almost finished and ready to send off to World Castle Publishing. It’s called The Kiss—“What if” a single kiss could trap a soul? I’m also working on a fantasy romance called Dragon’s Eye. The last think I’m working on is Heartbeat, the story of a baby who is half angel. The story is told in first person through the eyes of her mom. It is about the love affair she has with Samuel and the lengths they go through to ensure Irulan’s safety. Holly: Where can we purchase I Am Wolf? Joann H. Buchanan: It’s out on Amazon and free for Kindle Prime members. Joann H. Buchanan: I want to say thank you to all those who read my work. I’m blown away on a daily basis by those who send me messages in FB saying they loved my work, or that I inspired them to write. Holly: Do you have an author who may have inspired you to write? If so, who? Joann H. Buchanan: I have several. Stephen King and David B. Coe are huge inspirations in my life. I love their style and the way they are unpredictable. Each one leaves me either breathless or just scares the crap out of me. The emotions they evoke are on different levels because one is horror and the other is fantasy. Also I love R. A. Salvatore and his poetry in motion. There are really just too many.